In 2017, 38% of fatal crashes in Lorain County were alcohol-related. 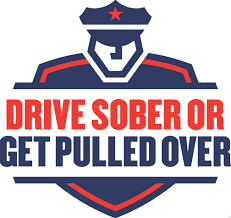 Drinking and driving always comes with a cost - hefty fines, legal fees, missed work, death and grief for loved ones, car insurance rate increases, vehicle repair costs, and medical bills. These consequences are completely preventable. The Zero Proof Mix Off is a non-alcoholic drink competition that annually draws hundreds of local residents for delicious drinks, live music, prizes, and more. Come and taste delicious non-alcoholic drinks mixed by local agencies and organizations, then take a recipe book home and mix your own zero proof drink. No cost to attend. This event provides a chance for each of us to be part of the conversation to increase awareness of sober driving. Behaviors and culture must shift in order to create safer roadways in Lorain County, and holiday parties are a great place to start. Interested in being a mixer at the Zero Proof Mix Off or getting involved? Contact healthed@loraincountyhealth.com or 440-322-6367. 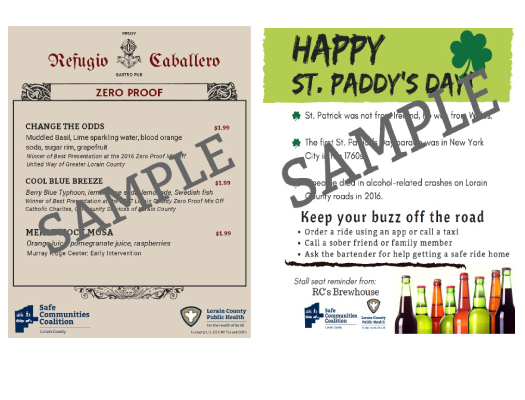 The Safe Communities Coalition can provide customized bathroom posters and menus at no cost. Use your own zero proof recipes or choose some from the Zero Proof Mix Off Designated Driver Recipe Books. Alcohol Server Knowledge (ASK training) is for liquor permit holders and their staff, servers and bartenders. After the training, participants receive a completion certificate from the Ohio Investigative Unit to enhance your resume, and get a toolkit of resources to equip your establishment.